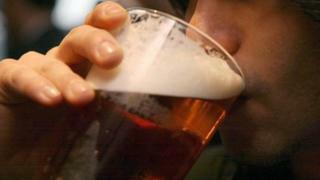 Dyfed-Powys Police has become the first force in the UK to trial a new remote system of monitoring how much alcohol prolific offenders are drinking. The system can be set up to request manual, automatic and random breath tests from the offender and includes a picture identity verification. The pilot is being carried out voluntarily on six offenders in the Dyfed-Powys area. The results will be reviewed after the three-month pilot. Ch Insp Craig Templeton said: "We're keen to find out if this new technology would provide a cost-effective and improved management of offenders throughout Dyfed-Powys, and ultimately lead to a reduction in the level of re-offending." The new technology also includes electronic GPS real-time tracking. It is being tested by the Integrated Offender Management team, where Dyfed-Powys Police and Wales Probation Service work together to prevent and reduce re-offending of those who have the most detrimental effect on their communities.